Anyway, I will try to write up an in-depth review on this cute Nendoroid as soon as I have some spare time – probably next week. So how about yours, Nendonesian? Have you received your Sharo-chan and played with her yet? 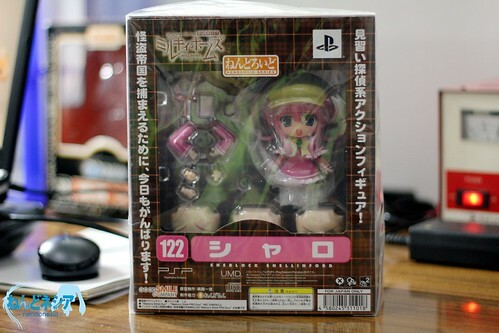 This entry was posted in News and tagged nendoroid, psp, sharo, sherlock, syaro, tantei opera milky holmes. Been reading your blog for a while. Great work!! Though now I have to say I am highly jealous you were able to get this version. I failed miserably at securing one. Those facial expressions are so unique.